* Because DDU-DU DDU-DU, Dance The Night Away, Fake Love and DNA entered the "List of most viewed online videos in the first 24 hours" on Wikipedia, YouTube later confirmed the views. DDU-DU DDU-DU was adjusted to 36.2 million views, Fake Love was adjusted to 35.9 million views, DNA to 22.3 million views and Dance The Night Away tp 19.6 million views. The reason to why these views are noted in a seperate "confirmed" chart is due to the fact that the other MVs in the first view chart haven't been clarified by youtube (yet). This thread is to keep track of the records on Youtube done by K-Pop groups MVs. To see a list of all K-Pop MVs, including things that this thread doesn't track, like soloists and subunits, etc, please head over to Kworb! All records are counted in KST. This thread is only for K-pop Idol Groups; no soloist, single artist collaborations or sub-units. I don't plan to add any of this, so feel free to start your own thread if interested! Only Korean releases will be counted. No Japanese, Chinese or any other type of single/release. Only the main version of an MV will be counted: no Dance ver. or other. If two groups were to collaborate on a song (like BigBang and 2NE1 did in the past) it would be counted if it broke any record. Same goes if an artist were to feature in an idol group song, but not the inverse (so no PSY feat. X group). Youtube views don't update in real time: the system isn't perfect and so aren't the records. In regards to first 24 hours records: all records are counted at the exact 24 hour mark after the upload. Even if Youtube doesn't update all the views in time. This happens for all MVs, and it's the only way to maintain an objective and universal rule for all. For debuts, I've decided to go with the official debut: so the MV of the song with which the group start to promote (and that on music show is considered a debut stage). Regarding EXO: EXO-k and EXO-m are not considered sub-unit (unlike EXO-CBX), and in the record table for simplicity there's no distinction between EXO and EXO-k (since we only count korean releases). EXO's debut is MAMA, their first release and debut stage. while those onces believe that Twice's cheer up will hit 100 million views in the end of the year. There is only 3 names there. 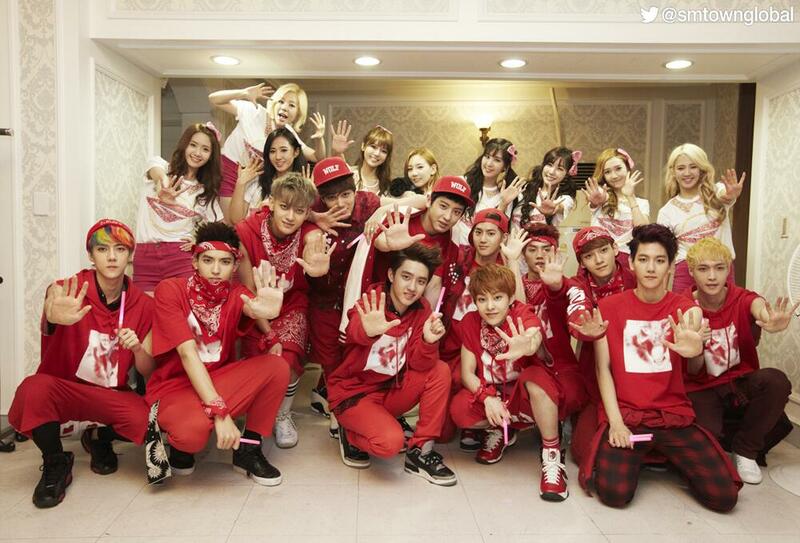 Bb, soshi and exo. I'm so proud of BB not SNSD ofc but BB. Bang Bang Bang & I Got A Boy are LEGENDARY. Bang Bang Bang is a WALL. A legitimate WALL. 7 months.. damn. Edit: so people can stop quoting me, I have to edit and say that yes, BBB is no longer a wall. Congrats to whoever broke it first. SNSD, Big Bang, and EXO. The Holy Trinity. No one is talking about Twice.